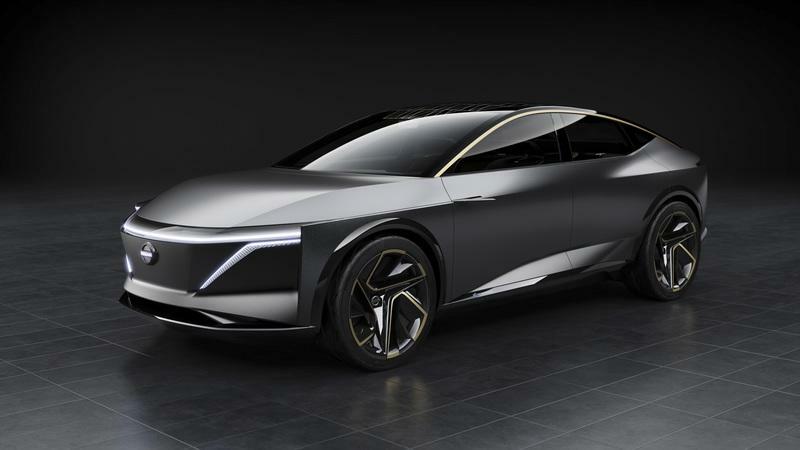 The first thing to grab us about the 2019 Nissan IMQ Concept is the way it looks. 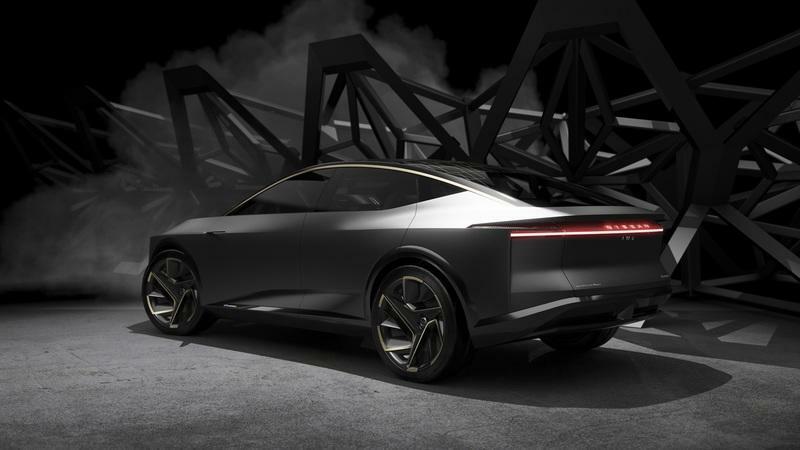 From the off, it definitely brings an exotic, tech-heavy vibe to play, and as the latest design work from the Japanese automaker, it promises to inform Nissan’s future crossover lineup in terms of aesthetic direction. However, we’re not really sold on it. Sure, it’s got a lot of nice details. Up front is Nissan’s classic “V-motion” grille, while chrome details are mated with aerodynamic consideration from front to back. Dark lower sections offset the greyish silver paint, while “boomerang” taillights take up residency in the rear. 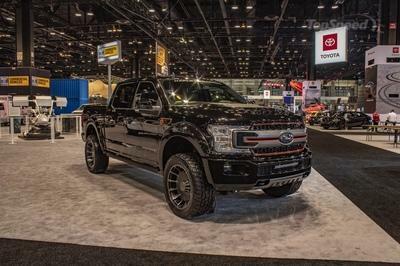 The corners are stuffed with 22-inch alloy wheels wrapped in Bridgestone tires. However, taking a step back, we’re really not into the style. 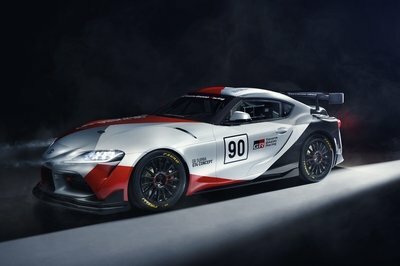 Taken as a whole, the IMQ looks like some kind of pixelated graphic you’d drive in an early ‘80s racing game set in the year 2020. The cuts are massive, and that front end is about as garish as they come. Paired with the low-slung roofline and weird lower body lines, and well, it just doesn’t work for us. Is This The Future Of Crossovers? For example, the tires are equipped with a variety of sensors that provide the driver with data on tire load, tire pressure, tire temperature, grip level, and tire wear, all of which are quite useful. 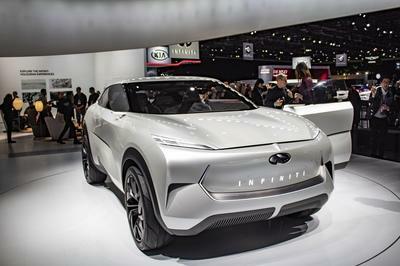 The IMQ also provides a nod to Nissan’s powertrain future. 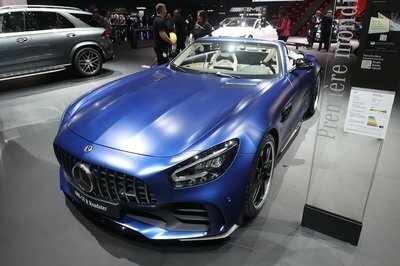 Under the hood, the concept is equipped with a series hybrid powertrain under the e-Power family, which was developed from Japanese-market models like the Note and Serena. That means there’s no plug, but rather it comes with a turbocharged 1.5-liter gas engine providing juice to a “multi-motor all-wheel-drive system”. Total output is rated at 250 kW (335 horsepower) and 700 Nm (516 pound-feet) of torque. That’s a lot of twist for a crossover, and with the precise power delivery of a four-wheel electric motor setup, odds are you’ll be able to put it all to good use, no matter the road conditions. 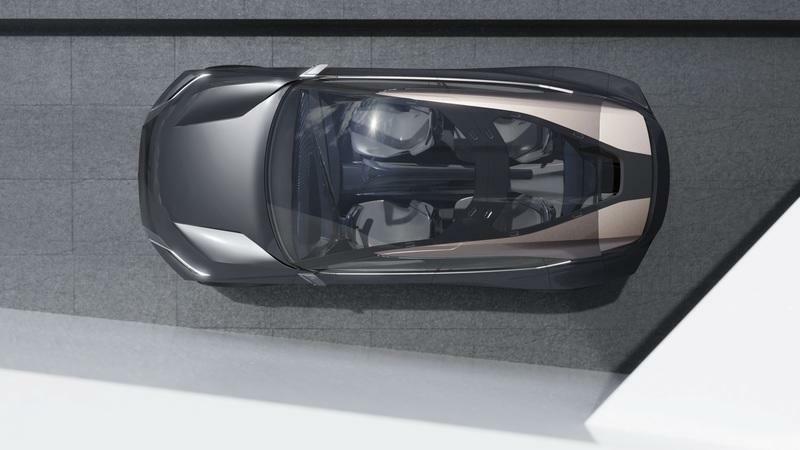 No doubt about it, our favorite part of the 2019 Nissan IMQ concept has to be the cabin space. For starters, ingress and egress is made easier thanks to rear-hinged doors and the lack of a B-pillar. Once inside, you’ll find space to sit with four forward-facing captain’s chairs, which are upholstered with two-tone fabric in a geometric design, plus kumiko woodwork. Lamella material is added to the flooring and door trim, while a black metallic finish for the seat backs adds some tasty appeal. Up front is a gliding wing instrument panel design beset with a huge digital screen readout. Smartphone-esque operation keeps things easy. 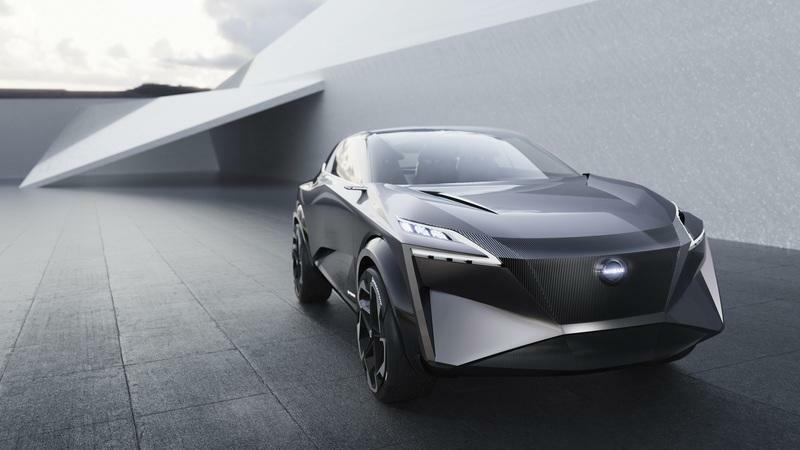 Further tech features include an “advanced prototype” of the Nissan ProPILOT autonomous drive tech, as well as Nissan’s Invisible-to-Visible technology for greater interactivity and augmented reality features. Finally, there’s a Virtual Personal Assistant to help you with the various vehicle functions and navigation. Overall, we think Nissan is on the right track when it comes to its interior and tech, but the exterior could use a little more time in the oven. The more than 500 pound-feet of torque on tap also has our attention. 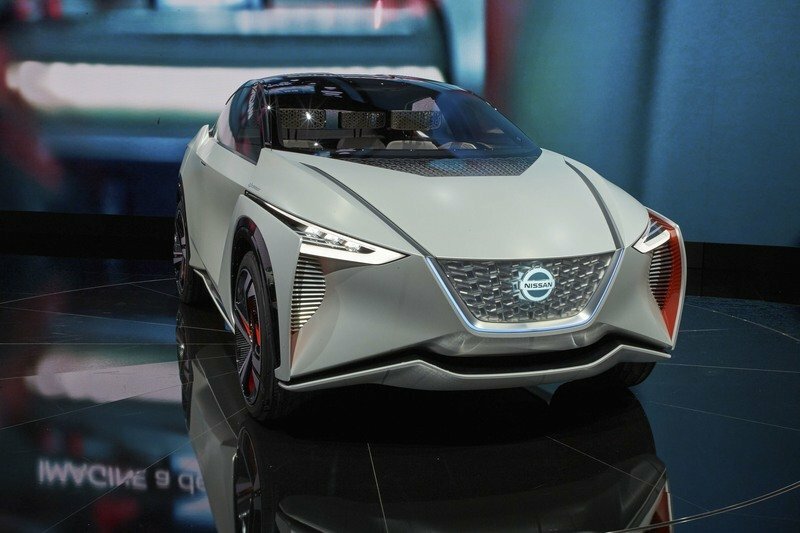 What do you think of the 2019 Nissan IMQ Concept? Let us know in the comments section below. The exterior is completed by 22-inch alloy wheels with bespoke Bridgestone Connect tyres. These “smart” tyres communicate information to the driver via the graphical user interface. Data transmitted includes tyre load, pressure, temperature, grip level, wear and tyre health. This helps the IMQ automatically calibrate its in-car control systems to work optimally.